Check out Tobi's Charlie Long Sleeve Blouse The casual button down gets cozy with a tactile waffle texture. The Taupe Charlie Long Sleeve Blouse has a v neckline with small buttons all the way down the front and dropped shoulders for a relaxed look. We like this autumn blouse knotted at the front. The casual button down gets cozy with a tactile waffle texture. 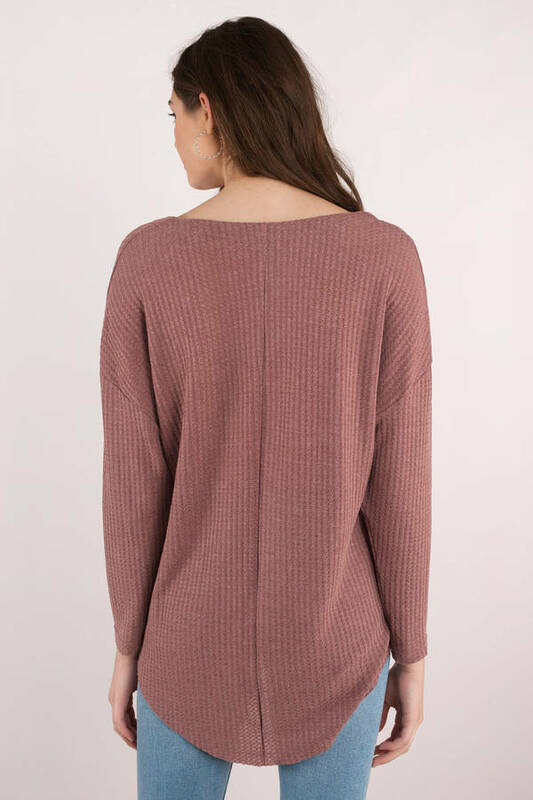 The Mauve Charlie Long Sleeve Blouse has a v neckline with small buttons all the way down the front and dropped shoulders for a relaxed look. We like this autumn blouse knotted at the front. The casual button down gets cozy with a tactile waffle texture. The Taupe Charlie Long Sleeve Blouse has a v neckline with small buttons all the way down the front and dropped shoulders for a relaxed look. We like this autumn blouse knotted at the front. The casual button down gets cozy with a tactile waffle texture. 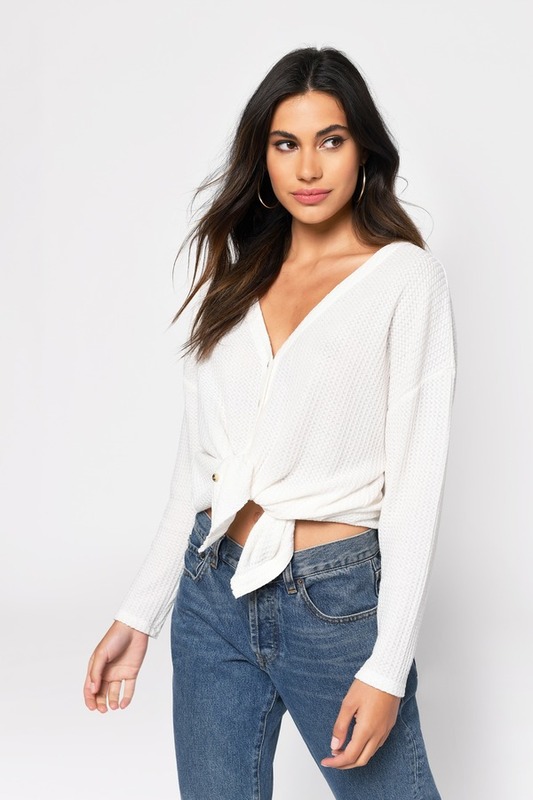 The White Charlie Long Sleeve Blouse has a v neckline with small buttons all the way down the front and dropped shoulders for a relaxed look. We like this autumn blouse knotted at the front. The casual button down gets cozy with a tactile waffle texture. The Black Charlie Long Sleeve Blouse has a v neckline with small buttons all the way down the front and dropped shoulders for a relaxed look. 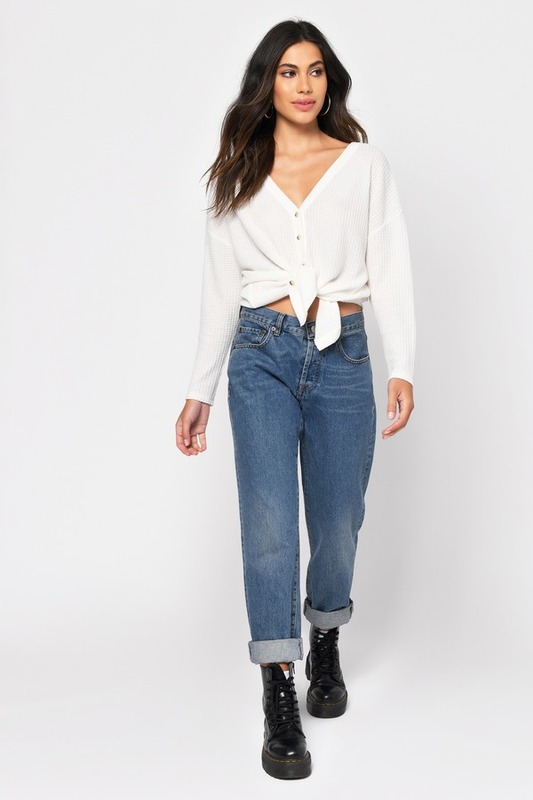 We like this autumn blouse knotted at the front.